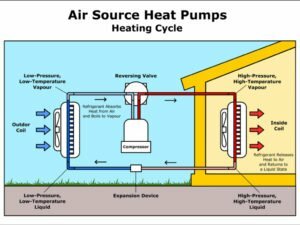 The following article is about natural gas heat pumps. Al’s Plumbing, Heating & A/C in Plano, Texas provides maintenance & repairs for all brands of Central A/C, Gas & Electric Furnace, and Heat Pumps. Additionally, we sell and install new HVAC Systems from American Standard (same company as Trane), Ameristar (same company as American Standard) and Coleman HVAC (same company as York HVAC). Al’s also provides full service plumbing maintenance, repairs and replacements for every plumbing component in your home. Al’s sells and installs Rheem Professional Series gas & electric water heaters, and tankless water heaters. Al’s Plumbing, Heating & A/C is near your home in Plano, Allen, and Frisco. We service all homes in southern Collin and Denton Counties with no additional travel charge. Advances in Heat Pumps’ technology is creating a promising new product — Heat Pumps that are powered by natural gas instead of electricity. While they are just starting to become available, this will create huge benefits for both the owners of gas heat pumps and the environment. We detail all this within this article. 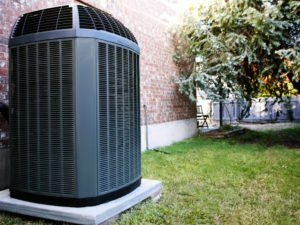 This type of heat pump has an internal-combustion engine that runs on natural gas — it replaces the electric compressor motor in the outdoor unit. At the time of this article, Natural Gas Heat Pumps were mostly in commercial applications. For residential uses, Gas Heat Pumps are available for homes sized 3,000 Square Feet and larger. In 2017, nearly 1/3 of the electricity generated in the U.S. used coal as the energy source. The amount of carbon emissions from coal generated electricity is extremely high in comparison to natural gas emissions. Over time, all electricity will like be generated by natural gas, nuclear, and renewable energy sources. Until then, natural gas consumed at the point of use (the home) is a notably cleaner energy source than electricity. The end result is only 30% of the energy going into power plants (in the form of fuels) reaches consumers as electricity. A Standard-Efficiency gas furnace produces 80% of the heat as compared to the natural gas it used (the rest of the heat is vented with the exhaust). A High-Efficiency gas furnace producesup to 98.5% of the heat as compared to the natural gas it used (the rest of the heat is vented with the exhaust). As compared, in an area served by a Natural Gas Power Plant — a residential electric furnace produces only about 30% of the heat as a high-efficiency natural gas furnace with the same amount of natural gas consumed. This is due to all the energy losses during the generation and delivery of electricity. Cooling with a gas Heat Pump will generate similar savings. Heat Pumps use the same amount of electricity as a Central A/C when cooling (a heat pump is simply an air conditioner running in reverse when heating). The difference in operating costs are due to the cost of the fuel used (electricity versus natural gas). Natural Gas engine heat pumps work on the same principal as electric heat pumps. They transfer heat into -or- out of the home within a recirculating refrigerant. Instead of an electric motor, a natural gas engine powers the heat pump’s compressor in the outside unit. Electricity powers the fans and controls. Gas Heat Pumps or GHP use natural gas to fuel the engine that drives the compressor. The compressor provides heating or cooling based on its setting. Thermal energy (heat) is transferred (within the refrigerant) between the outdoor unit & indoor unit(s). GHP can supplemental gas heating for when outdoor temps are too low for the Heat Pump to meet the home’s heating demand. The gas heat pump’s engine requires a radiator to cool the engine. In summer, the outside unit has a radiator to release the engine’s heat outdoors. During winter, the heat pump is able to recover the heat from the heat pump’s engine. A second loop of refrigerant captures the engine’s heat and releases the heat inside the home during heating cycles. By recovering the engine’s heat, the Natural Gas Heat Pump works in (10-15 degrees) lower outdoor temps than an electric heat pump. Gas Heat Pump technology is still somewhat new. In order to make gas heat pumps pricing economical, the majority of gas heat pumps to date were built for commercial applications. With the passage of time, residential gas heat pumps are now becoming available for homes 3,000 square feet or larger. IntelliChoice makes residential Gas Heat Pumps for homes 3,000+ SF. Their Natural Gas Heat Pumps work with either Ductwork HVAC Systems & Ductless HVAC Systems. An outdoor Gas Heat Pump requires a small concrete pad and can replace multiple outdoor electric condensing units and gas furnaces. Electricity consumption is up to 80% less than an electric heat pump. They use natural gas to operate the compressor in the outdoor unit. Given current natural gas & electricity prices, air conditioning costs can be reduced up to 80%. Operating & Maintenance costs are up to 30% lower. NOTE: We could not find pricing for Residential Natural Gas Heat Pumps and we are not sure if they are currently available for installation for homes in DFW. You can contact IntelliChoice directly on their website at http://iceghp.com/. Phone Number: (702) 815-0600. They are located at 6280 S. Valley View Rd. ; Suite 240; Las Vegas, NV 89118. They are the exclusive distributor of the NextAire™ GHP product line for North America. Note: Al’s Plumbing, Heating & A/C Does Not Currently Sell Or Install GAS Heat Pumps. We Sell & Install Electric Heat Pumps. Al’s also provides full service plumbing maintenance, repairs and replacements for every plumbing component in your home. Al’s sells and installs Rheem Professional Series gas & electric water heaters, and tankless water heaters. Al’s is near your home in Rowlette, Murphy, and Wylie. We service all homes in southern Collin and Denton Counties with no additional travel charge.